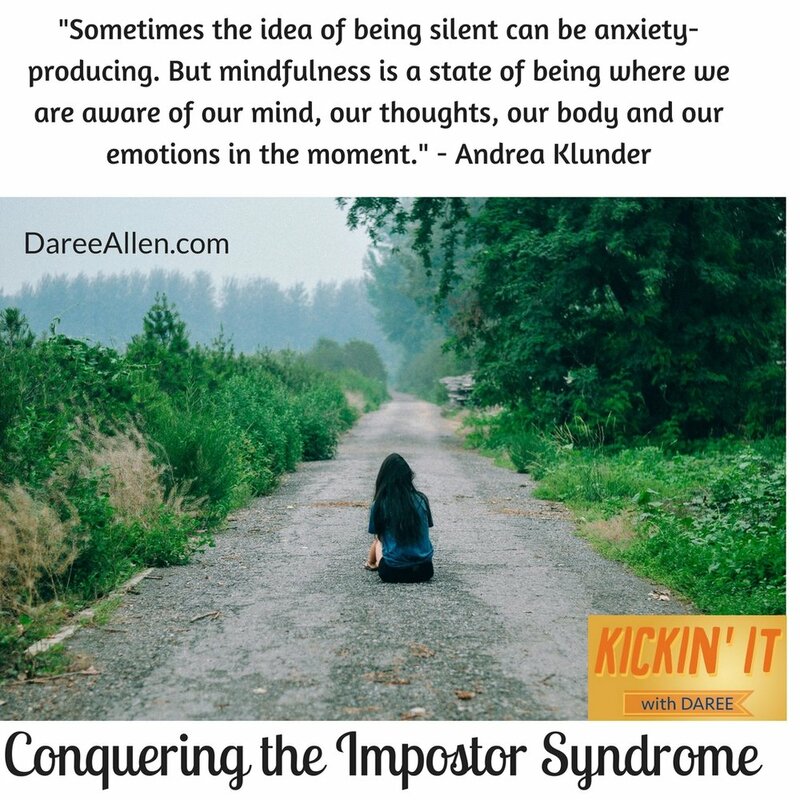 "The Imposter Syndrome" is a term to describe when a person is successful but afraid to own it for fear of being "found out," regardless of their actual accomplishments. We all have talents and gifts, but sometimes it's hard to see that when you're in the middle of it. You have to set aside time to collect your thoughts on all the experiences you've had, and look at your story. Then you can see how you can use your story to help others in similar situations. Failures llow you to learn about what does and doesn't work for you (personally or as an entrepreneur), what not to do next time, and help others so they don't have to make the same mistakes. Sometimes the idea of being silent can be anxiety-producing on its own. But mindfulness is a state of being where we are aware of our mind, our thoughts, our body and our emotions in that moment. The practice of meditation can help you develop a routine of being mindful. In stressful situations we now have a choice to either go with the angry or stressful stimulus that has come up in our mind and body.